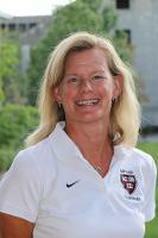 Head coach Jennifer Weiss has completed 25 seasons at the helm of the Crimson and has led the program to three Ivy League championships; 2004, 2014 and 2015. In 25 seasons with the Crimson Weiss has proven to be one of the most successful coaches in the Ivy League, and is just the third head coach in Ancient Eight history to reach 300 career victories. She has mentored seven Ivy Rookies of the Year, including 2015 pick Christina Cornelius and unanimous selection Corinne Bain in 2013. 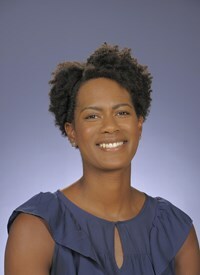 2001 Ivy Rookie of the Year recipient Kaego Ogbechie ’05, meanwhile, went on to become the first two-time Ivy Player of the Year in Harvard history. Weiss has also coached 77 All-Ivy players during her tenure, including 2012 graduate Christine Wu who joined Elissa Hart ‘98, Maia Forman ‘89 and Erin Denniston ‘02 as one of only four four-time All-Ivy honorees in program history. The Swarthmore volleyball program has been under the direction of Harleigh (Leach) Chwastyk since 2002; during that time, nearly 100 student-athletes have participated in an NCAA Division III program earning regional and national recognition, both on and off the court. Coach Chwastyk reached the 200 win mark early in the 2015 season and has the most in school history, and the eighth-most wins in the Centennial Conference. The 2012 season was highlighted by a program-first win over a nationally-ranked opponent, #10 Eastern University, and received votes in the AVCA top 25 national poll. In just the last five seasons, Chwastyk’s charges set new program watermarks for best conference finish and five postseason ECAC tournament appearances. Her peers within the conference recognized Chwastyk by naming her the Centennial Coach of the Year in consecutive seasons (2009, 2010) and again in 2014. Steve Santonastaso was named the head coach at Rhode Island on March 22, 2017 after 12 years as an assistant with the program. Santonastaso – who had been the associate head coach for the previous nine seasons - became just the second head coach in Rhode Island history since women's volleyball was recognized as a varsity sport by the NCAA in 1981. He replaced Bob Schneck, who retired at the end of the 2016 season, following 36 years at the helm of the program. Two-time national champion Shane Davis is entering his third year as head volleyball coach. He was hired as the sixth head coach in program history on Monday, Dec. 28, 2015. In his two-year tenure, he has lifted the recruiting and on-court prowess of the volleyball program. His first two recruiting classes have been ranked 22nd and 18th, respectively, and the 2017 season posted the best hitting percentage in program history.